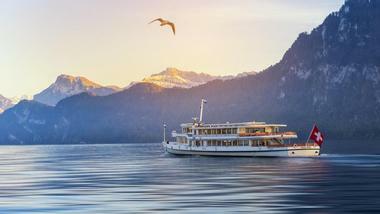 Situated along a lake beneath the Alps, Lucerne offers the quintessential Swiss experience with everything from a chocolate museum to breathtaking mountain views. Visitors of Lucerne enjoy the perfect mix of outdoor activities like hiking and swimming mixed with cultural and historical experiences. The small city has a wealth of museums showcasing art, music, science, and transportation. Long hikes, cable cars, and boat rides give guests the chance to gaze at astounding views from all angles. The city of Lucerne sits on the shores of Lake Lucerne, 30 km (19 mi) long and 20 km (12 mi) long with an average depth of 104 m (341 ft). 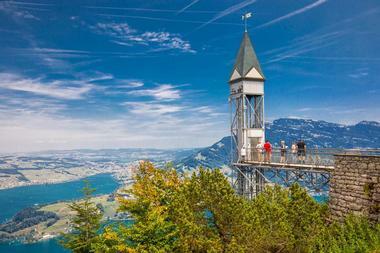 The Alps overlook the lake, giving visitors breathtaking views of the scenic Swiss countryside. The huge, stunning lake sits in central Switzerland, the German-speaking portion of the country. While visiting, travelers can enjoy the views from the nearby Mount Pilatus, relax on a cruise of the lake, or explore a handful of museums. Best of all, the lake offers breathtaking panoramic views of its crystal-clear waters that reflect the soaring cliffs of the overlooking Swiss Alps. 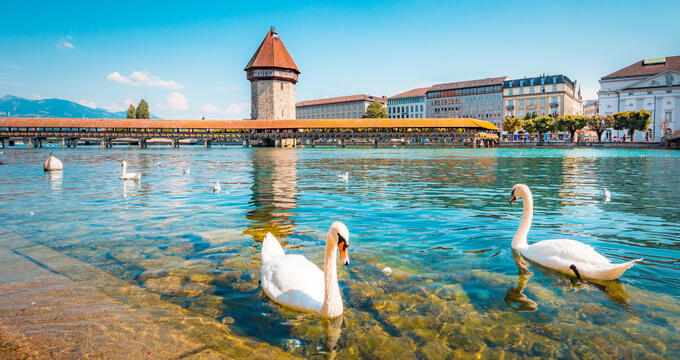 Nature enthusiasts can spend an afternoon exploring the Natur-Museum Luzern filled with exhibitions on butterflies, minerals, fossils, birds of prey, and much more. Taxidermied animals get guests up close and personal to European wildlife. Meanwhile, the bug display contains over 240,000 insects and offers an educational and interactive experience including a live bee window. The geology floor features a collection of crystals of all shapes and sizes and meteorite fragments, rocks, and fossils. Yet another section teaches about herbs, gardening, and natural medicines. 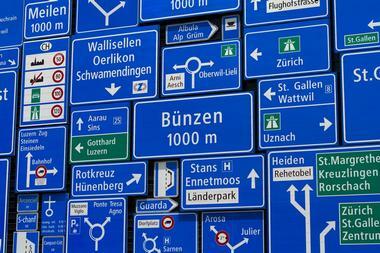 For those who don’t speak German, the triangular information boards contain English when facing upwards. In 1881, Edouard Castres built this 112-meter long and 10-meter high panorama depicting Eastern French army under General Bourbaki. The scene re-creates the army’s historic escape to Switzerland during the Franco-Prussian War in the harsh winter of 1871. The battalion of 87,000 men represents Switzerland’s largest admission of refugees. Now, travelers can witness the extraordinary event viewing sculpted terrain and lifelike, 3D models. The audio guide expresses the significance behind the historical events depicted in the artwork, and many hail this as a must-see when touring Lucerne. Admission is included with a Swiss Travel Pass. This unusual attraction combines geological science with a bit of history. The Glacier Garden and Museum sits next to Lucerne’s Lion Monument and surrounds a pothole that dates back to the Ice Age. Now, visitors can marvel at the gorgeous vistas below after climbing up an observation tower overlooking the potholes carved by glaciers. The museum also showcases a restored traditional Swiss cabin with impressive woodwork and period furniture exhibit. The Hall of Mirrors, dating from 1896, has become a favorite, confounding visitors as they try to navigate their way through the maze. The Swiss Rail Pass comes with free entry into the Glacier Garden. The Hammetschwand Elevator represents the highest exterior lift in all of Europe and gives guests outstanding panoramic views of the surrounding mountains and lake. Visitors can access the Hammetschwand Elevator by walking 30-45 minutes from the resort through a spectacular hiking trail or by taking a boat from Lucerne to the Buergenstock Resort. The modern, luxury resort and terrace cafe offer guests a chance to relax, take in the views, and indulge in chocolates, beer, and traditional Swiss snacks. For those who don’t stay at the resort, the Hammetschwand Elevator and Felsenweg path still make for a lovely day trip. As one of the most popular Swiss artists, Hans Erni (1909 - 2015) rose to prominence as a graphic designer, engraver, and sculpture. Born in Lucerne, Erni received both the Art Prize of Lucerne in 1968 and the UN Peace Medal in 1983. The museum honors the artist by displaying more than 300 of his works created over a span of eight decades. The ground floor also showcases abstract paintings by Hans Erni juxtaposed with three “Tatra” cars built by Paul Jaray, a pioneer of automotive streamlining and aerodynamics. Visitors can find the detached hexagonal building sitting on the grounds of the Swiss Museum of Transport. 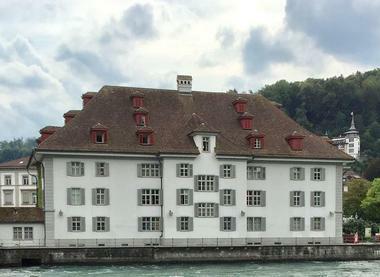 The Historical Museum gives guests a peek into the past with its collection of cultural and folkloric artifacts from Lucerne and central Switzerland. Behind glass cases and iron grills sit all kinds of items like mannequins dressed in period clothing, folk costumes, weaponry, early pottery, coins, and even a guillotine. The building is a former arsenal protected since the end of the 16th century. Visitors can experience history in a new way. The unique, innovative museum layout gives each person a scanner which they can use to read a barcode beside each item to learn more. 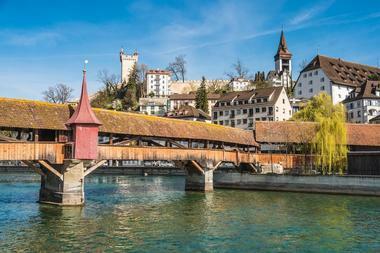 Built in 1333, the Kapellbrücke (or Chapel Bridge) spans diagonally across the Reuss. Although part of the original burned down in a fire, the restored wooden covered footbridge remains Europe’s oldest surviving truss bridge. Even after 700 years, spruce wood panels of the bridge still feature detailed paintings, now restored, depicting historical events such as the life and death of Lucerne’s patron saint, St. Leger, and other local legends promoting the Catholic Church. Colorful flowers cover the side adding to the charm while strolling across. Guests can enter the bridge from either side when visiting. The Kunstmuseum Luzern showcases four collection areas primarily highlighting historical and modern works from Swiss artists. The largest part of the collection features Swiss art including paintings from the Baroque Era by Kaspar Meglinger and Franz Ludwig Raufft along with a range of 18th-century portraits by artists like Anton Graff, Johann Melchior Wyrsch, Josef Reinhard, and Felix Maria Diogg. Each year, the museum highlights new aspects of their collection with thematic headings such as portraits, landscapes, animals, and so on. The building also offers spectacular panoramic views of Lake Lucerne and the Lucerne Concert Hall. 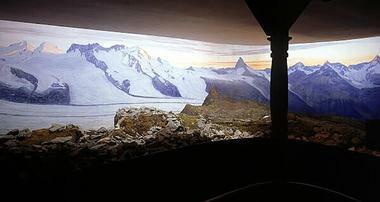 Visitors can escape the hustle of Lucerne Löwendenkmal by spending the afternoon at the Alpineum Museum. 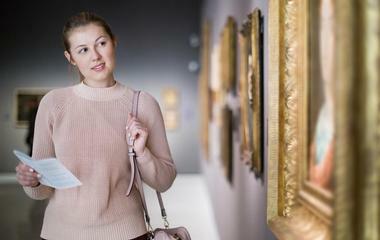 Situated at the back of a gift shop not far from the weeping lion statue and the glacier gardens, this tucked away museum houses a quaint collection of landscape paintings and historical photos. 3D glasses bring to life old photographs taken by vacationers from yesteryear. Dioramas, the forerunner of cinema and television, contain wooden and metallic models replicating the Alps of the past with miniatures of locals dressed in period clothing, mountain railways, ships, and houses. Those with a Swiss Rail travel pass can enter for free. Hailed by Mark Twain as "the most mournful and moving piece of stone in the world”, the Lion Monument honors the over two hundred Swiss Guards massacred in 1792 during the French Revolution while serving as a part of the Royal Household of France. After the French King Louis XVI had to move his family to the Tuileries Palace in Paris, revolutionaries stormed in protest and overran the Swiss Guards. Their commander, Major Karl Josef von Bachmann, later died by the guillotine, after a formal trial and sentencing. 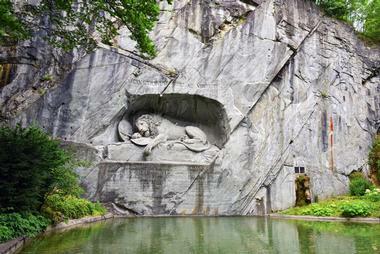 Danish sculptor, Bertel Thorvaldsen, designed the memorial, and between 1820 and 1821, Lukas Ahorn cut the dying lion into a wall of sandstone rock. At Meggenhorn Castle, tourists get a fairytale experience coupled with picturesque views of Lake Lucerne, Mount Rigi, Mount Pilatus, and the surrounding Swiss Alps. 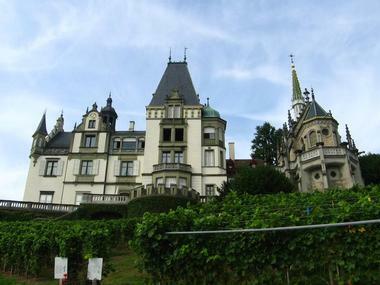 The Meggenhorn Castle was first built in 1868 by Edouard Hofer-Grosjean from Mulhouse, and, in 1926, the family installed a Welte Philharmonic Organ. Today, visitors can explore several of the rooms outfitted in their original decor. Tours only run through part of the castle, and the self-guided audio tour requires less than a half hour to complete. Children will enjoy the petting zoo and adventure playground on the nearby grounds. Guests can visit by car, bus, or ferry with a short, steep walk to reach the castle. 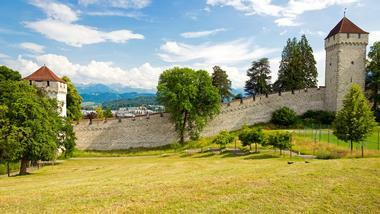 Originally constructed in 1386, the Museggmauer formed a part of the city’s rampart walls. Today, its four towers remain almost entirely intact. Hans Luter built the oldest of the clock towers, the Zyt, in 1535. It continues to chime every hour and one minute prior to the rest of the city’s clocks. Climbing up to the fortification, tourists get yet another outstanding view of the entire city and the surrounding mountains and lake. Guests can enter with no admission costs to climb up the towers, walk the Medieval walls, or sit and relax on a bench. Accessing the fortress does require climbing up a steep hill to reach the entrance. 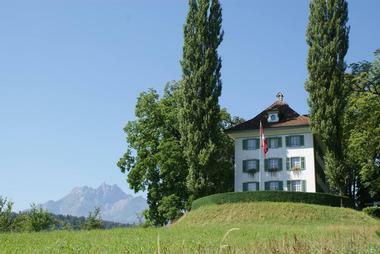 The Museum Bellpark sits in an old house in a park along the main road of the Lucerne suburb of Kriens. 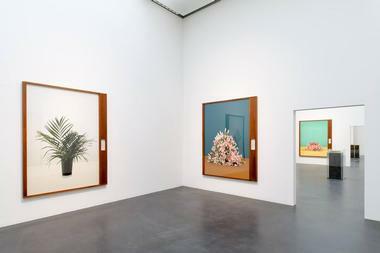 Although relatively small, the gallery consists of a mix of traditional pieces along with current trends in Swiss art such as contemporary collections, photography exhibitions, and video installations. The eclectic art display covers historical discoveries as well as present-day themes like motorways, clubs, refugees, bunkers, and mopeds. Built in 1911 by the well-known architect, Emil Vogt, the former Villa Florida once served as a hotel and still entertains for private events. 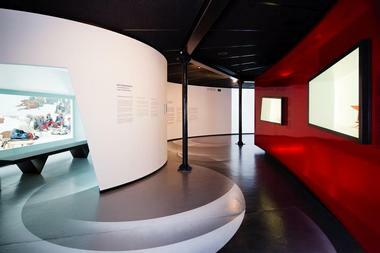 Visitors can access the museum on Bus: 1 from the Lucerne railway station towards Kriens at the Hofmatt-Bellpark stop. The Blue Balls Festival blends together a unique mix of arts, photography, music, food, and film from both international and local talents. 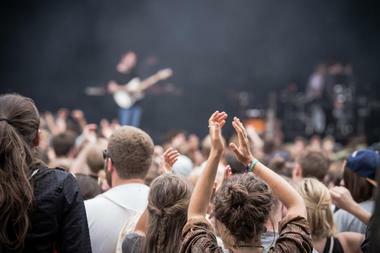 Set beside the idyllic Lucerne lakeside, in the summertime, this nine-day festival has become the largest creative event in the country. Attendees can explore film screenings, exhibitions, and panels while enjoying cuisines from around the world. Friends gather together to enjoy the summer weather while sipping beers and listening to open-air concerts held in the daytime and evenings. The music spans an array of genres including pop, blues, rock, soul, funk and world music. First constructed in 1386, the Musegg towers have fortified the city of Lucerne for centuries and remain almost entirely intact. The old defensive walls consist of several different towers including the Nölliturm. The renovation required careful reconstruction of its sandstone blocks. It has also functioned as a powder storage facility. 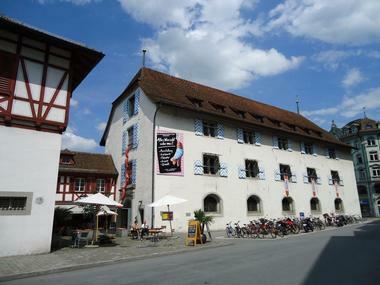 Since 1922, the Nölliturm portion has served as a guildhall for the Guild of Saffron. Established in 1400, The Saffron Guild, or Society of Grocers, supervised the commerce and activities of grocers in Lucerne and the surrounding dominions. Today, the guild has over 400 members. 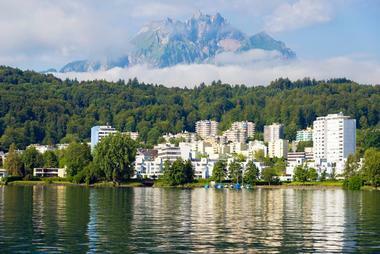 This mount massif overlooking Lake Lucerne offers active travelers plenty of things to do. 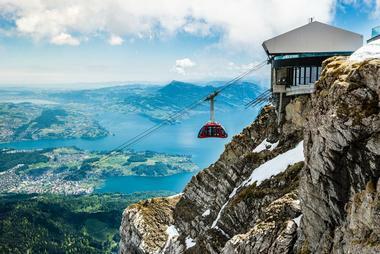 Mount Pilatus is composed of several peaks with the highest, Tomlishorn, reaching 2,128 m (6,982 feet). During the winter months, guests enjoy sledding down the snowy slopes. The summertime invites visitors for hikes or a journey along the Dragon Trail to learn about local myths from the Middle Ages of dragons dwelling in the cliffs. Adrenalin junkies can also test their balance at the Pilatus Rope Park. The cogwheel railway, which is the steepest in the world, transports guests to the top providing epic views along the way. The Richard Wagner Museum honors the famed German composer, theater director, polemicist, and conductor, Richard Wagner. 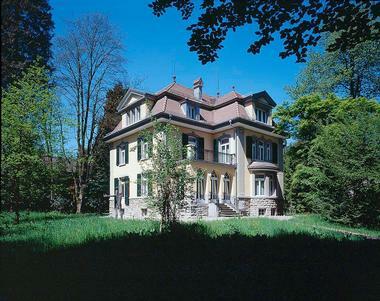 Wagner lived and worked in the country manor, at the Villa Tribschen, beside Lake Lucerne for six years. The manor now serves as a museum featuring a collection of Wagner’s works, photographs, paintings, and hand-written letters. The exhibition includes an Erard grand piano on which Wagner completed his works including The Mastersingers of Nuremberg, a music drama (or opera) of three acts. Guests can access the historic home by taking a ten-minute bus ride from the center of town. The Spreuer Bridge extends 435 meters (1,427 ft) across the Reuss River. The covered wooden footbridge was first built in 1408 and was rebuilt after its destruction from a flood in 1566. In its early years, the Spreuer served as the only location where local residents could dispose of wheat (Spreue) which also gives the bridge its name. The pediments still contain paintings mostly portraying donors of Lucerne society. Between 1626 and 1635, Kaspar Meglinger added 67 paintings which represent the "Dance of Death", an artistic style exploring the universality of death. 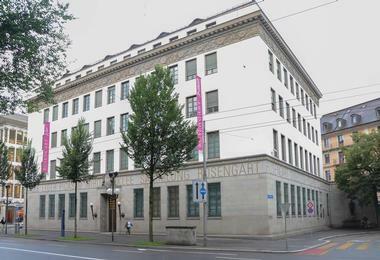 The Sammlung Rosengart art museum houses hundreds of masterpieces of Classic Modernist and Impressionist art. The collection includes works from over 23 artists including 180 pieces by Pablo Picasso and 125 by Paul Klee. Her father, Siegfried Rosengart, built up his personal collection and maintained friendships with artists such as Pablo Picasso, Joan Miró, Marc Chagall, Henri Matisse, Georges Braque, and Fernand Léger. His daughter, Angela Rosengart, founded the museum which now showcases pieces formerly in her family’s private collection. 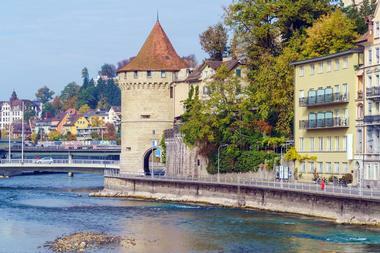 Located nearby the Lucerne train station, travelers can easily access the museum. 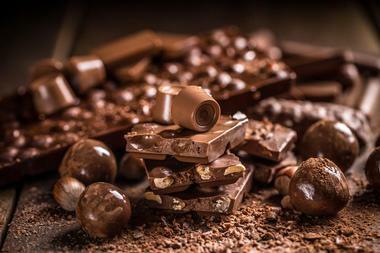 Switzerland has earned the reputation for making some of the world’s finest chocolate. Now, chocolate lovers can indulge themselves in this museum dedicated this delicious delight. Presented by Lindt, Swiss Chocolate Adventure at the Swiss Museum of Transport in Lucerne pleases all of the senses. Visitors go on a multisensory journey while riding cart learning about the process of turning cocoa beans into chocolate. Fun for all ages, the interactive experience presents information behind the history of chocolate in a fun, yet still informative way. At last, the tour ends with a sample of chocolates. As Switzerland’s most visited museum, The Swiss Museum of Transport attracts visitors from far and wide looking to learn more about the past, present, and future of mobility. Inside its halls, the museum features a film theater, chocolate museum, planetarium, and exploration of media and virtual reality. The museum first opened in 1959 and continues to offer unique attractions. Travelers can explore cutting-edge technology the Media World, discover the history of chocolate, watch documentaries on the big screen, and experience a state-of-the-art planetarium with a 360-degree flight to the stars. Those who purchase the Swiss Travel Pass get a 50% discount. The Strandbad Tribschen beach invites guests to sit and sunbathe while enjoying an array of water activities. Throughout the day, visitors can go for a swim while gazing at stunning views of the Alps. Adults and kids can go for a dip in the family-friendly swimming area. Water sports offer up a choice of canoeing and stand up paddle boarding. Guests can also stay active playing beach volleyball, table tennis, table football, and chess. The Badi-Bistro nearby has a traditional, local feel serving up quintessential Swiss warm and cold dishes and drinks. The Strandbad Tribschen sits right beside the Richard Wagner Museum. 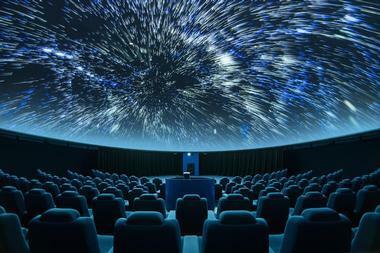 The Verkehrshaus Planetarium transports travelers with a 360-degree flight to the stars. In the country’s largest planetarium. Rotating shows explore different aspects of space such as Stella Nova, Zodiacs, Planets, and more. The Planetarium continues to offer an immersive, state-of-the-art view of space. As a part of the Swiss Museum of Transport, guests can also check out other exhibits within the same building such as the Swiss Chocolate Adventure, Media World, a film theater showing documentaries on an XXL screen, and the transportation museum. The Aviation and Space Travel Hall in the transportation museum also compliments the planetarium. 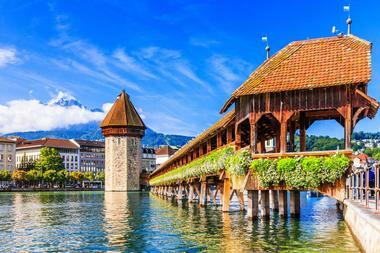 Built in 1300, this octagonal tower has become Switzerland’s most photographed landmark. 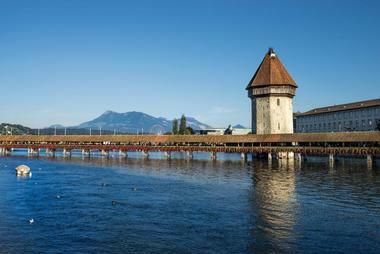 The Wasserturm, meaning water tower, forms part of Lucerne’s city walls and stands at 111.5 feet high. Over the years, it has served as an archive, treasury, prison, and even a torture chamber. The Wasserturm welcomes guests as they cross or exit the Kapellbrücke bridge, depending on the starting point. The Kapellbrücke features blossoming flowers and century-old paintings depicting the city’s history while giving breathtaking views of the surrounding landscape. Local guides share the history behind this iconic monument.